Well! no body can be always online, when you make Video calls. At the time you can leave a message. But the Skype for Windows doesn’t has this video message feature until now, you can only leave a text message in Skype. 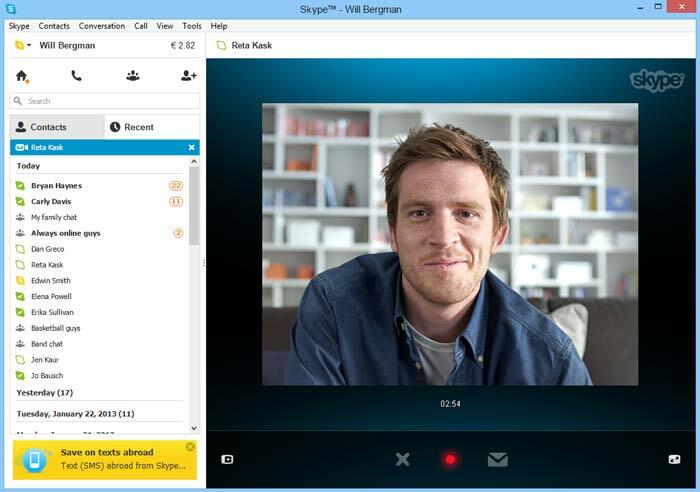 But now Skype released the new feature “Skype Video Messaging” in its latest beta release of Skype for Windows 7. This new Video messaging feature will be available soon for Windows 8 users soon. By using this feature Windows 7 users can leave a video message to their friends when they are not available to your call or offline. Microsoft announced that this feature is also in preview for users of Skype for Mac, Skype for iPhone, Skype for iPad and Skype for Android. Skype for Windows 8 and Windows Phone users can also receive and view Video Messages. But they can’t record Video message as of now. Windows 8 and Windows 8 phones user have to wait for further update t record video messages. And the Good news is, the update is coming soon for these platforms. If you want to try yourself this Skype Video Messaging, then you have to download Skype 6.5 beta for Windows desktop. Last week Outlook.com have got the Skype Video calling feature. If you are the Outlook.com user, you can try this new video calling right from your mail account.